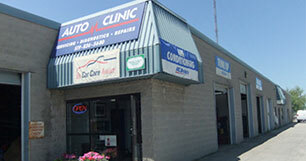 Welcome to the Auto Clinic in Guelph, repairing and servicing automobiles for over 25 years. If you’re like most vehicle owners, it’s important to only leave your vehicle with someone you can trust. Don and his experienced staff have been serving the Guelph area now for over 25 years. Here at the Auto Clinic we take great pride in our ability to be your complete automotive service provider.